Reach millions of potential consumers with purchasing power in one of the North’s most powerful cities. 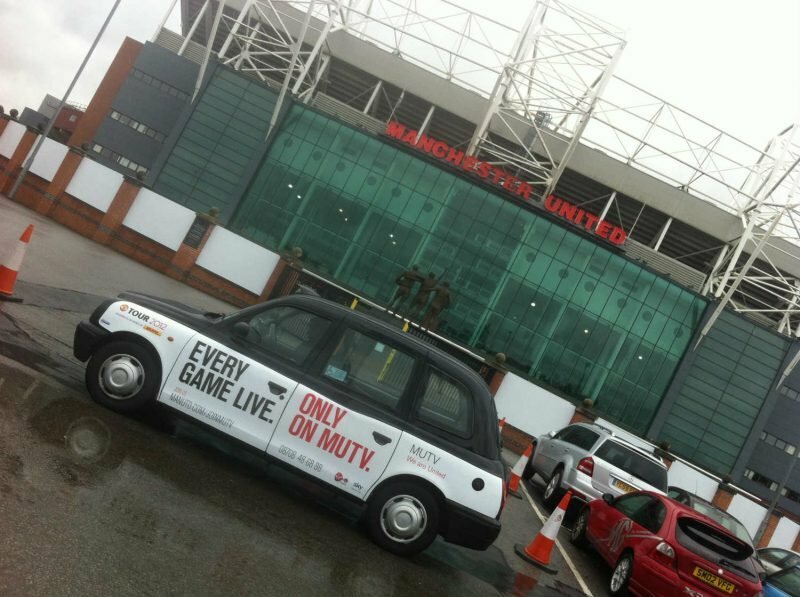 Launch a taxi advertising campaign in Manchester with London Taxi Advertising. A taxi campaign in Manchester will see your brand’s message reach an audience of business professionals, industry leaders, shoppers, students and a huge ABC1 demographic. With a decade of industry experience and a range of formats to work with, London Taxi Advertising is your premier choice for your Manchester black cab advertising campaign. With almost three million people living in the Greater Manchester region, LTA can help you target this financial and cultural powerhouse. Home to four universities and over 85,000 students, Manchester’s reputation as a vibrant and multicultural city makes it a perfect advertising spot if you’re looking to reach a diverse, millennial audience. Greater Manchester become the home of the UK’s media industry following the arrival of BBC, ITV and several other major businesses across a whole host of industries. It is also one of the country’s most powerful financial centres. It is home to two of the world’s most famous Premier League football teams in Manchester United and Manchester City, with thousands of visitors from around the world heading to Old Trafford and the Etihad Stadium each week. Manchester is also home to two of the UK’s largest retail centres in the Arndale Centre and the Trafford Centre, and with iconic shopping areas such as Deansgate and the high-end Spinningfields, it’s an easy way to reach a more affluent audience.